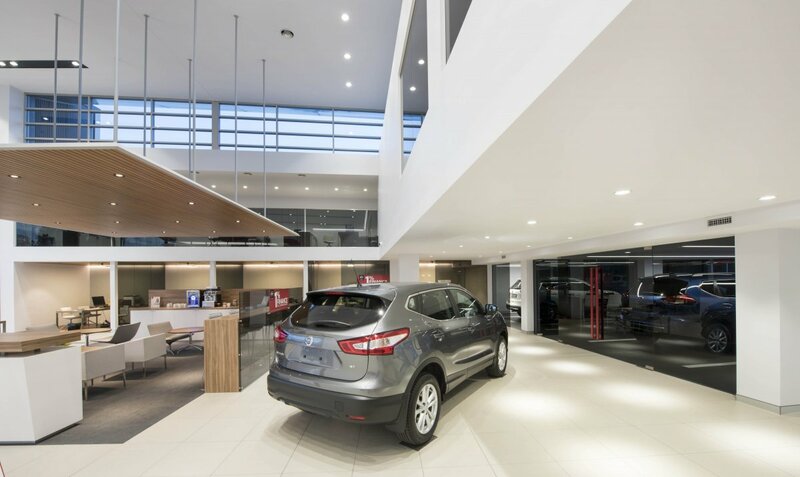 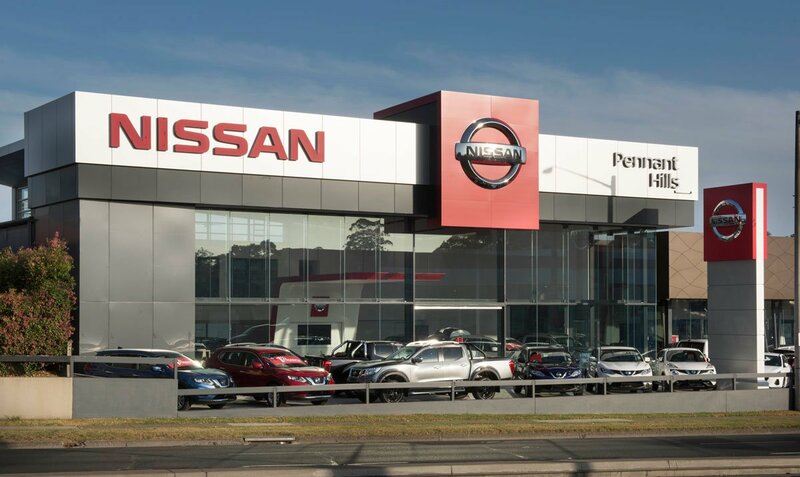 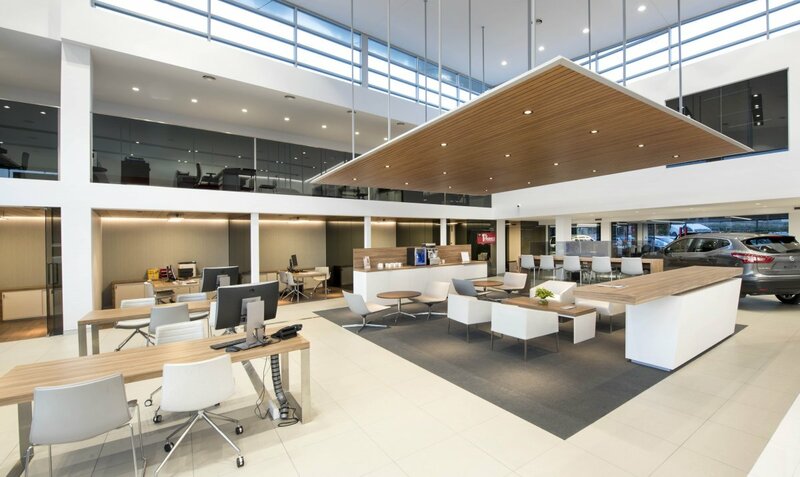 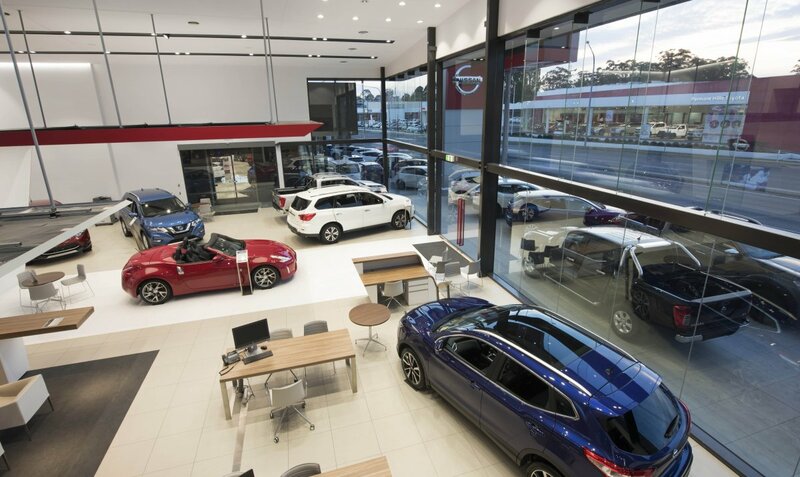 The Pennant Hills Nissan showroom was the first of it’s kind in Australia designed using the new “NREDI” corporate identity. 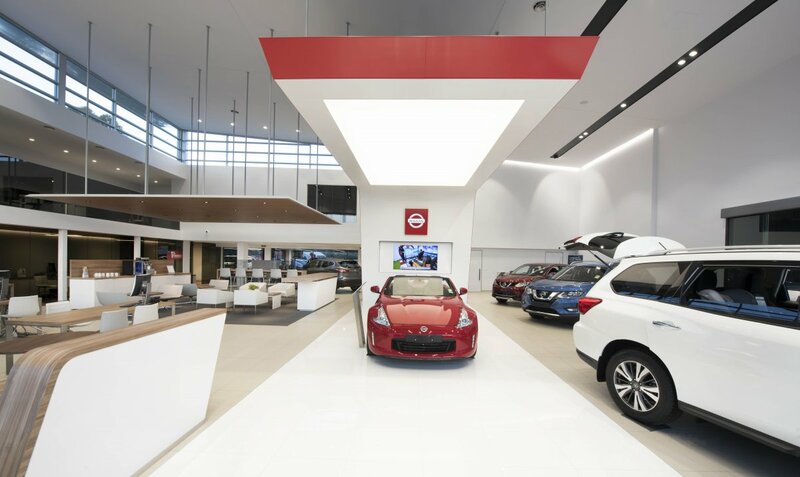 The design features black painted structural steel, dark tinted glass, white walls and the centrepiece; a red curved “Nissan Drive” installation featuring the hero car. 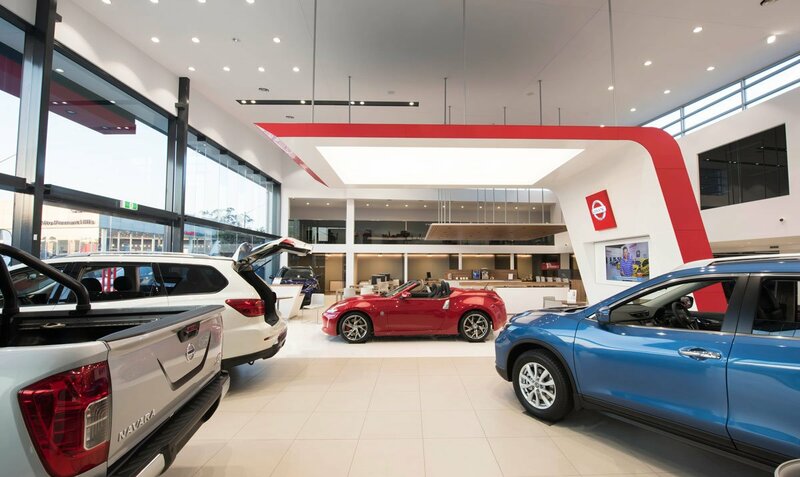 Other showroom design features are oversized custom powder coated red door handles, light timber ceilings, floors and furniture and the lighting has been designed to play on the reflective surfaces. 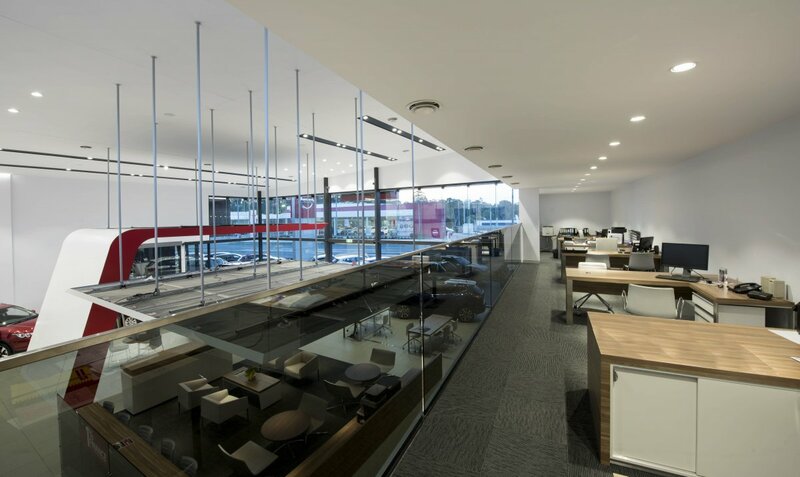 The façade was opened to include full height frameless glass to welcome natural light and create clean lines, while inside the existing mezzanine was also brought into line with the modern style, with the room configuration changed to incorporate a large conference room that overlooks the showroom.